Fair trade chocolate - what's your favourite? Is it creamy milk chocolate, buttery white chocolate, or dramatic dark chocolate? Do you opt for fair trade organic chocolate, vegan chocolate, or dairy-free chocolate? Or are you a baker, seeking out the finest fair trade baking chocolate at every turn? In a world of ready-to-eat ethical, fair trade and organic chocolate – which one is right for you? Here in the UK we consume an estimated 660,900 tonnes of chocolate a year. This averages out at around 11kg per person per year, or around 3 chocolate bars a week! But where does all this chocolate come from? And how does fair trade chocolate weigh up against the stats? Chocolate is one of the world’s favourite treats, but growing it requires very specific environmental conditions. Behind every chocolate bar there are 6 million growers, farmers, and cocoa processors across Africa, Asia, and Latin America who depend on growing cocoa for their livelihoods. Discover the story of fair trade chocolate and cocoa, some fair trade chocolate facts, and get ready to travel through time with our brief history of fair trade chocolate. We’ve been making fair trade chocolate for nearly 40 years, ever since we introduced the first fair trade chocolate bar to the UK in 1991. Fair trade chocolate was only one of our fair trade firsts, alongside fair trade tea, coffee, wine, sugar, rubber and charcoal! Traidcraft’s involvement with fair trade chocolate is a story of teamwork, with collaborators reaching across Europe. Back in the 1980s, like-minded Alternative Trading Organisations were getting together to share experiences with producers and explore areas where they could co-operate, mostly to do with handicrafts. These collaborative efforts resulted in the formation of EFTA (the European Fair Trade Association) in 1990. Meanwhile, the group had identified some intriguing new grower organisations, which included sugar co-operatives and cocoa co-operatives. In 1985, Traidcraft’s Swiss counterpart (at the time called OS3) started to work with cocoa beans from El Ceibo in Bolivia, and was simultaneously developing a relationship with Alter Trade – an association of sugar growers in The Philippines. By 1991, ‘Mascao’ (a name derived from the Spanish translation of muscovado and sugar) was launched across Europe by these influential EFTA members. Each member would launch their own multi-language Mascao branded product in their own country, collectively enabling the economies of scale needed to produce such a complex product. And guess who was the member of EFTA who brought Mascao to the UK? Traidcraft, of course! Not only was Mascao the first fair trade chocolate bar, but it also included sugar from Alter Trade and cocoa from El Ceibo as fair trade ingredients. It wasn’t without its challenges – muscovado isn’t the natural sugar for chocolate making, but luckily a very helpful chocolate factory agreed to adapt its process to use the Filipino muscovado. Traidcraft sold Mascao bars throughout the 1990s, and at the eventually developed their own Traidcraft branded fair trade chocolate bar. 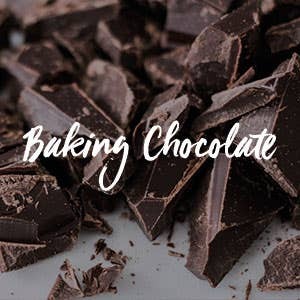 Traidcraft followed this pioneering motion by collaborating with one of the world’s largest chocolate manufacturers to produce the first Fairtrade chocolate chip, which soon went into the mixing bowl for fair trade chocolate chip cookies and chocolate GEOBARs. But with the growth of Fairtrade chocolate and the entry of Cadbury’s and Nestle into Fairtrade, Traidcraft are dedicated to staying true to the early values of Mascao – speaking up for new or emerging small scale producers, and finding new fair trade ingredients to mix into chocolate bars. And all of this while still working with some of the original fair trade cocoa and sugar growers the team started their journey alongside! Bolivia is one of the poorest countries in the world, and is landlocked by Brazil, Paraguay, Argentina, Chile, and Peru. Most growers are from the Alto Beni region, an area that’s been cultivating cocoa since the 1960s. While some farmers only grow cocoa, many have started to grow their own organic bananas, citrus fruits, and vegetables to feed their families. In the last 5 years, the area has been beset with many environmental challenges, including natural disasters (such as flooding) and the monilla illness, which damages and kills cocoa plants. Set up in 1977, El Ceibo Works with 50 co-operatives across Bolivia, reaching out to 1,106 men farmers and 194 women farmers from several ethnic groups; including Aymaras, Quechuas, and Mosetenes. Much of the additional money earnt from their fair trade cocoa is used to fund technical agricultural support, a programme which replaces cocoa plants and deforestation, an initiative which updates their cocoa processing facilities, and contributes to the members’ health and pension fund. São Tomé is an archipelago made up of 2 main islands and several islets. It’s located approximately 350 km from the west coast of Africa, and has a total population of 200,000. Most incomes are earned from cocoa, and the island’s signature bean – the criollo bean – has been farmed there since the 1700s. That’s quite some heritage! These days the place is even referred to as ‘Chocolate Island’! Cooperativa de Exportacion de Cacao de Cualidad (CECAQ) was created in 2009, and currently has 241 farmer members from 11 local communities. There are around 250 other members in the co-operative too, who are involved with processing the cocoa beans and providing support with organic agriculture. CECAQ aims to increase the earnings of its members whilst supporting them to produce the best cocoa beans possible. Considering that the minimum wage in the country is 40 Euros a month and the average salary of co-operative staff is 130 Euros, this is working pretty well! The main difference between traditional chocolate and raw chocolate is that raw chocolate usually contains just 3 or 4 ingredients – these being cocoa powder, cocoa butter, coconut blossom sugar, and raw fruit or seeds. Traditional chocolate can contain milk, soya, sugars, sweeteners, soya, and a whole host of artificial flavourings and preservatives. While Traidcraft fair trade chocolate may not be raw chocolate, we've kept our recipe as natural as possible – fair trade, organic, and free from GMOs, cheap emulsifiers, cheap oils, artificial colours or preservatives. The other key difference between traditional chocolate and raw chocolate is that the cocoa beans used to make raw chocolate are never heated above 42 degrees. In commercial chocolate, the cocoa beans are roasted at a temperature between 130 and 400 degrees. When drying cocoa beans for raw chocolate, some cocoa growers just leave their beans outdoors to dry naturally in the sunlight! Technically they’re the same thing! 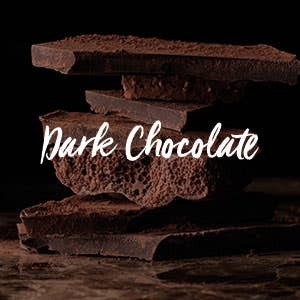 Though the words cocoa and cacao are often used interchangeably, generally cocoa is the term used for cacao that’s been fermented, dried, and roasted at high temperatures. It’s then pressed until all the oils are separated and the solids that remain can be turned into a dry powder – cocoa powder. Cacao powder is made in a very similar way, but at a far lower temperature. Theobroma Cacao is a tree native to Central America that has been used throughout history for its nutritional and medicinal values. This scientific name for the tree actually translates as ‘food of the gods’. These trees produce pods which contain 20-40 cacao beans – and it’s these beans that eventually get turned into chocolate. Theobroma Cacao trees grow most successfully in a narrow band called the Cocoa Belt or the Chocolate Belt. This band extends up to 20 degrees north and south of the equator. Was chocolate once used as currency? Yes! In Mayan times, cocoa beans were used as money, as it was considered to be worth more than gold. The Mayans maintained the value of cocoa beans by restricting the harvesting of the beans. Is it true that many cocoa farmers will never have tasted chocolate? It is! Once the cocoa beans are harvested, they’re shipped to factories where the magical transformation to chocolate begins. Many cocoa farmers will have never tasted chocolate in their lives. In 2017, Traidcraft hosted Linda, a cocoa farmer from the co-operative Kuapa Kokoo (and who grow fair trade cocoa for the Divine Chocolate Company), and she reminded us that any chocolate left lying around in Ghana would just melt anyway! 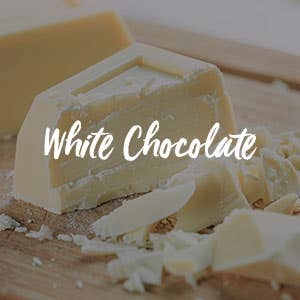 Are there any farmer-owned chocolate companies here in the UK? Yes! Farmers from the Fairtrade co-operative Kuapa Kokoo in Ghana own 44% of the Divine Chocolate Company, making it the first farmer-owned chocolate company in the UK. At Traidcraft, there’s a fair trade and organic chocolate for every occasion. From Traidcraft fair trade chocolate gifts, fair trade chocolate coins, chocolate bars, lollies, boxes and ethical Easter eggs to fair trade chocolate brands you love, such as Eat Your Hat, Divine Chocolate, and the Meaningful Chocolate company, it’s never been easier to indulge in an ethical treat that changes lives around the world. 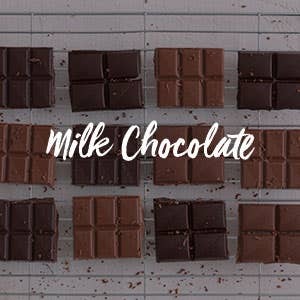 From chunky, creamy and fairer than fair milk chocolate, to rich, decadent dark chocolate and buttery sweet white chocolate – our collection of fair trade and organic chocolate has been hand-selected for ethical credentials, the skills of our expert cocoa growers, and the quality of the chocolate-making process. And don’t forget, fair trade chocolate was only one of Traidcraft’s fair trade firsts! Find out more in our complete guide to fair trade tea and guide to fair trade coffee.